Mrs Donnelly, whose late husband, the Rev James Donnelly, was rector of Saul and Inch Parish Churches, says she got her inspiration from a picture of her great grandson, one year-old Rory Donnelly, holding on to a fluffy teddy bear in one hand and patting the family’s pet dog with the other. Five Famous Dogs of Ireland brings to life the best loved of all the Irish hounds in history since Finn McCool and his favourite dog, Bran, strolled these parts. They include the much loved best friend of Manus O’Kane, an ancient chieftain from the Glens. His wolfhound was called Bawn and was known to be the best jumping dog in all of Ireland and could scare off the meanest of enemies. No book would be complete without the tale of Setanta, the young boy who grew up to be a brave warrior. He was renowned for tackling a fierce hound with his bare hands. But feeling so bad after killing the hound, he asked the dog’s owner for a pup and promised he would train him up to be as good as his father. Setanta became known from that day on as Cu Chulainn — the Hound of Cullen. 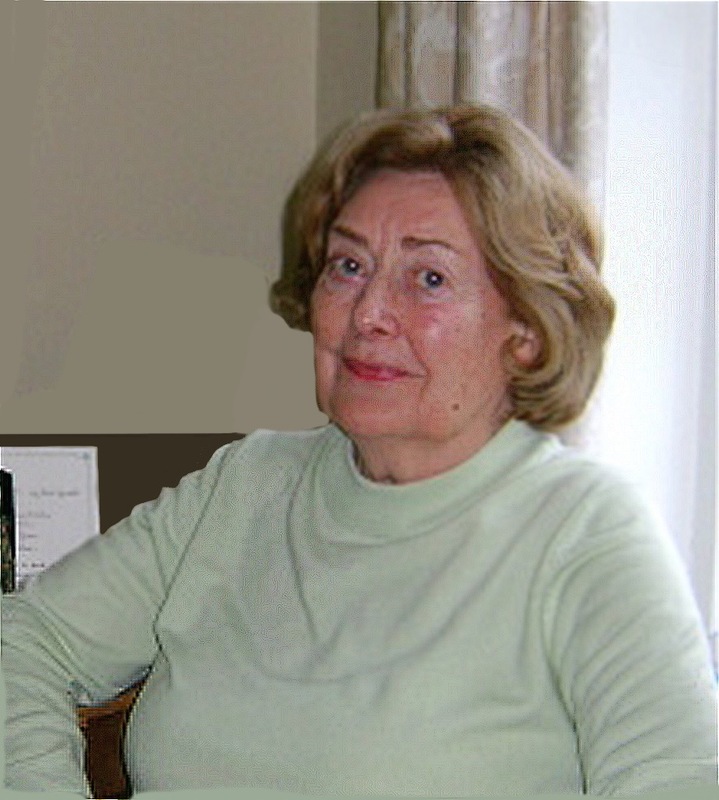 Mrs Donnelly has been instrumental in setting up a number of historical societies around Co Down. 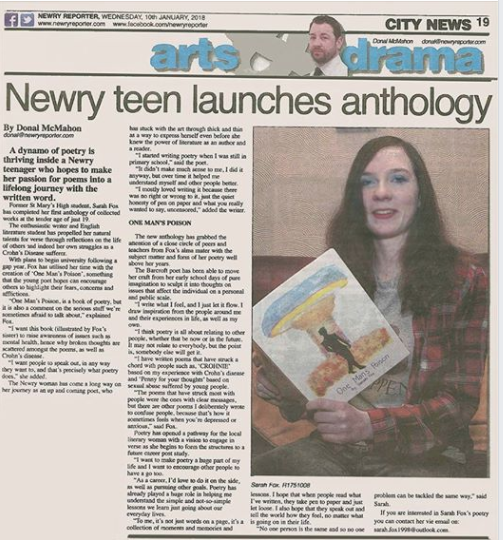 She adds: “The books are aids to help parents hand down our wealth of Irish folklore and the great legends of Ulster to another generation. So much of our heritage and culture is being lost on our young generation. 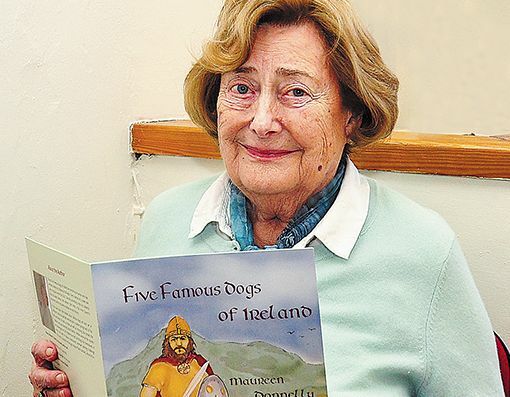 Five Famous Dogs of Ireland would make a great Christmas gift for any child or adult. 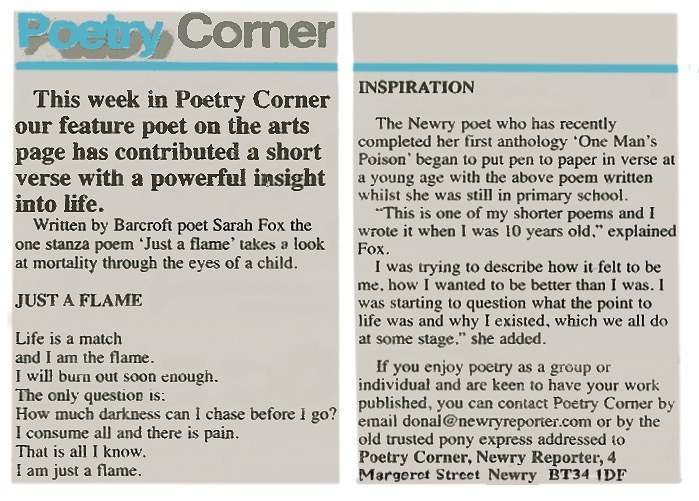 It can be purchased for £7.99 from a number of local outlets, including the St Patrick Centre, Down County Museum and Smyth’s Newsagents in Newcastle. 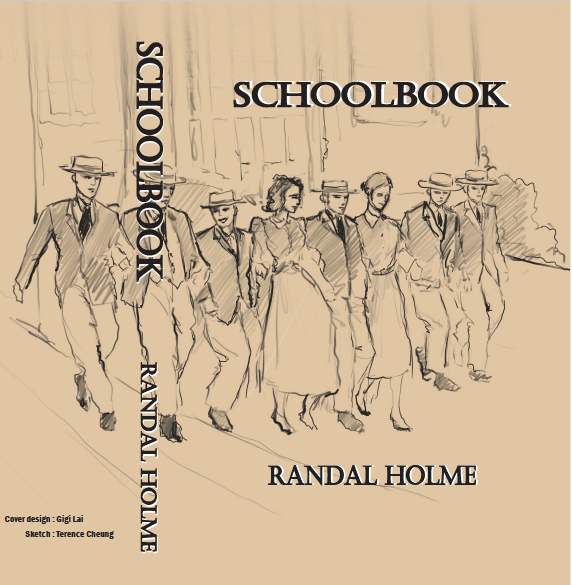 Her sensitivity to historic context is evident in her latest book for children, . These stories are set in various historical periods and introduce the child reader to the life and times of different periods in Ireland's history. And of course they are about dogs - famous dogs. Few stories are more popular with children than animal stories. 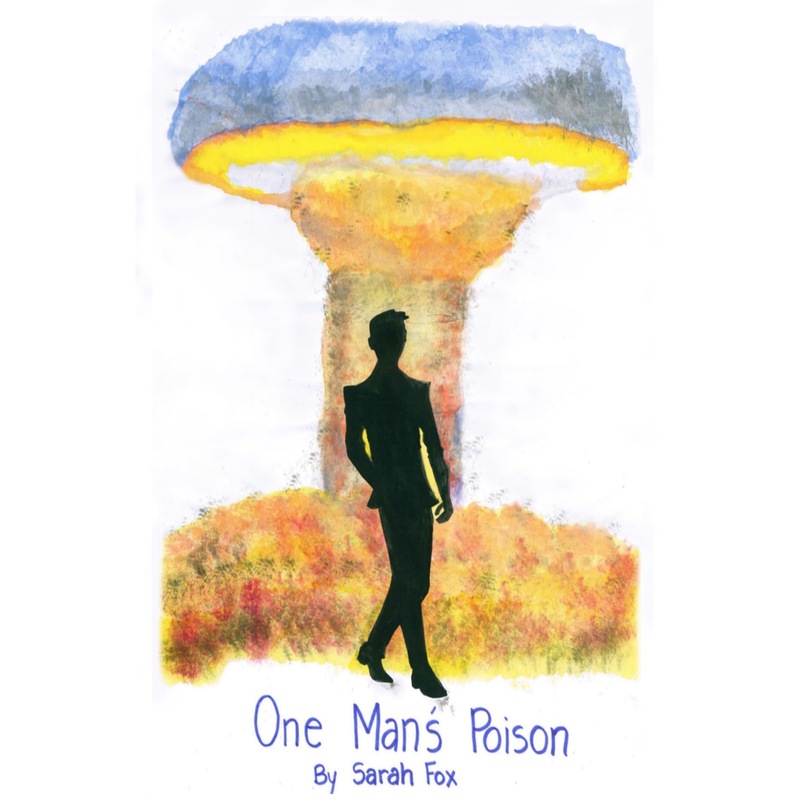 It is often through such stories that children explore their emotional life. 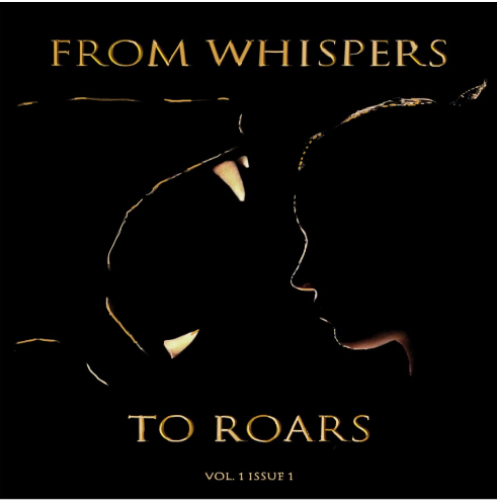 These stories deal with courage and grief, devotion and loyalty, affection and fear, victory and defeat; all dealt with through simple storylines a child can relate to. There are fun activities for the children too. They are challenged to find things out for themselves. A map is included of the places mentioned, another learning challenge. The book is suitable for the age range of upper primary, about 8-12+. Patrick, Brigid and Columcille, for teenagers. The Nine Glens, Downpatrick and Lecale, Inch Abbey and Parish. Pamphlets include: Places of Historical Interest around Newcastle, Finn MacCool. Who was Saint Patrick? On the day after Hitler’s annexation of Austria and little more than a year before the start of World War 2, Richard Preston interviews for a post as head of a famous but crumbling British public school and gets the job despite never being allowed to answer a question. But his problems are just beginning when he struggles with his own war memories, an abusive or apathetic staff, a crooked bursar, a coup by fascist prefects, harassed juniors, offended royals, tumbling frescoes, decaying buildings, his daughters’ romantic entanglements, and the realisation that amidst a deteriorating international situation he is losing his own fight with a fate where everything he touches turns to farce. 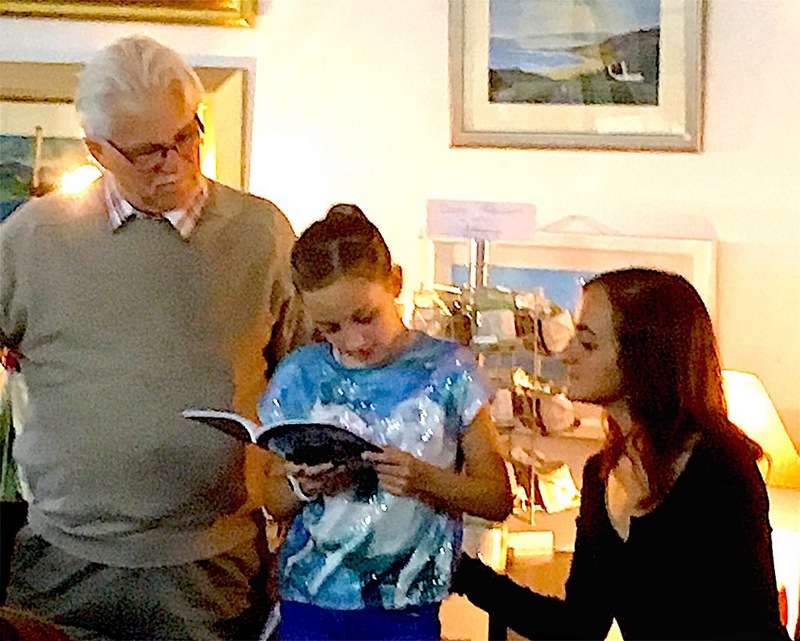 The successful event was part of Clachan Publications celebration of its 50th publication, and took place in the Harbour Gallery, Ballycastle. This proved to be a most welcoming and supportive venue. It is beautifully presented in full colour with a gloss finish. It is a source of interesting historic information and a very pleasing addition to any home or classroom. 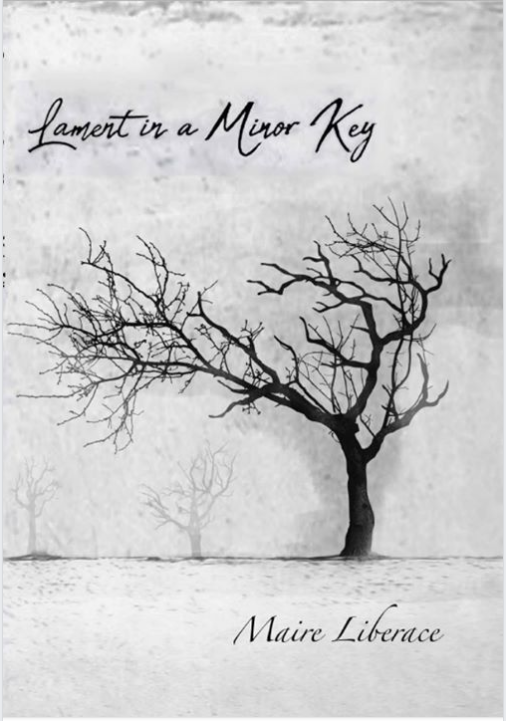 We at Clachan Publishing are proud to have published her first book of poems. 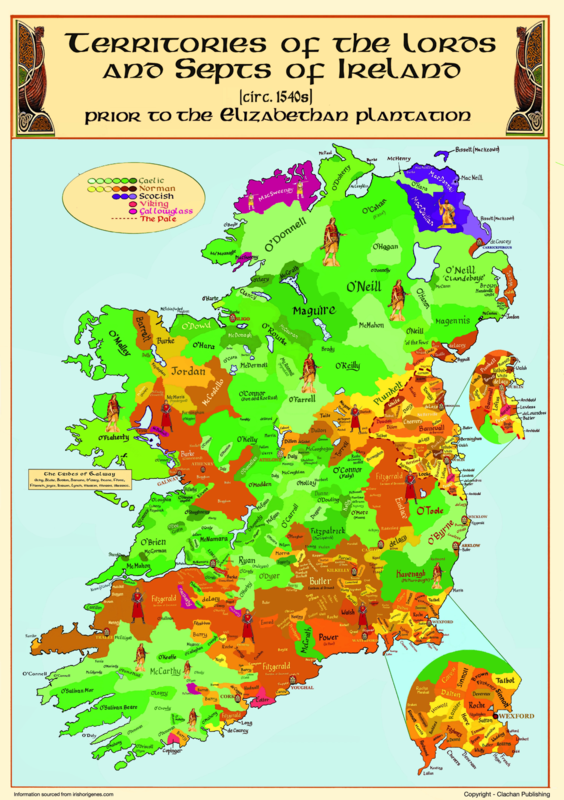 Now generally accessible for the first time, this is a reproduction of the recently discovered Genealogy of the House of O'Reillys of Brefne. It was commissioned in the 1890 by Count Alexander O'Reilly and written by the renowned genealogist, Chevalier Thomas O'Gorman. 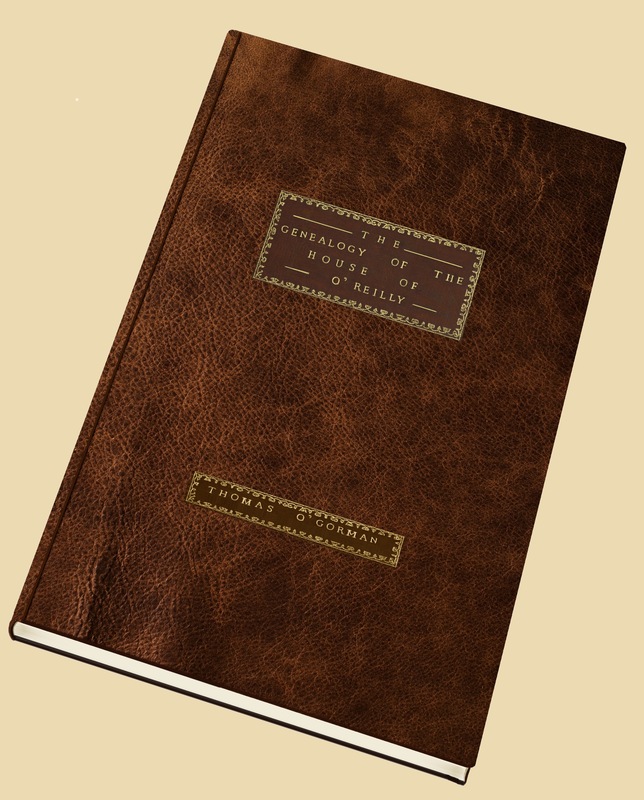 Using all well known sources and annals of the time, it outlines the history of the O'Reillys for 1000 years, concluding with the illustrious career of Count Alexander O'Reilly who, as an exiled Irish nobleman, served King Carlos of Spain in Havana and Louisiana, earning himself the title of Condé de O’Reilly, the Governorship of Madrid and Cadiz and Captain-General of Andalusia. 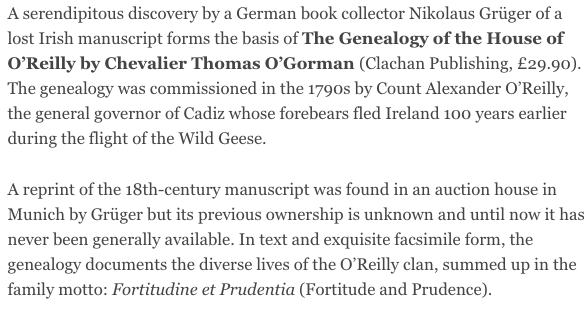 The manuscript is more than a table of generations and events and should prove of considerable interest to Irish genealogists and historians alike. 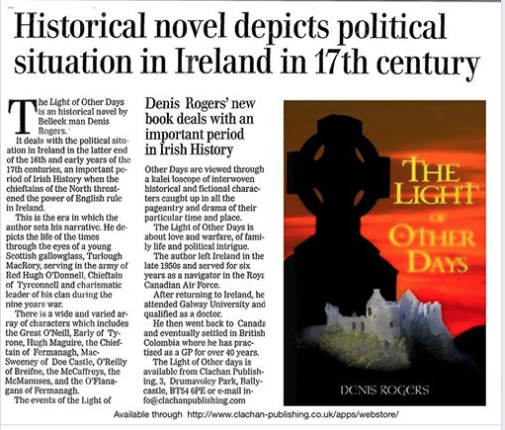 It gives valuable insights into the the political expectations and attitudes of the exiled Irish nobility whose experience and loyalties are evidenced in comments on military and political leadership, particularly as it applied to Ireland and its fraught relationship with is colonising neighbour. His first contact with Ireland was after the Second World War in 1946. His two older sisters received an invitation to stay with an Irish family in Dublin. He received letters from them in which they described the countryside, culture and music of this far distant land. But his love-affair with Ireland began with reading peregrinatio of the German author and later Nobel Prize winner Heinrich Boll, Irisches Tagebuch. It inspired him with the idea of getting to know the country, rich in cultural history. As a musician and performer of the French horn and Cello, inter alia, who was born and living in Berlin, with five musical brothers and sisters, they formed their own family string quartet. In the nineteen sixties, he founded the Rheinisches Blaser-Sextet (Rhenish Wind-Sextet) and organised a concert tour in 1969 throughout Ireland. Further concerts followed in Ireland under the new name Consortium Classicum, recording a total of thirty albums over a twenty-five year period. In that time they undertook three world concert tours. 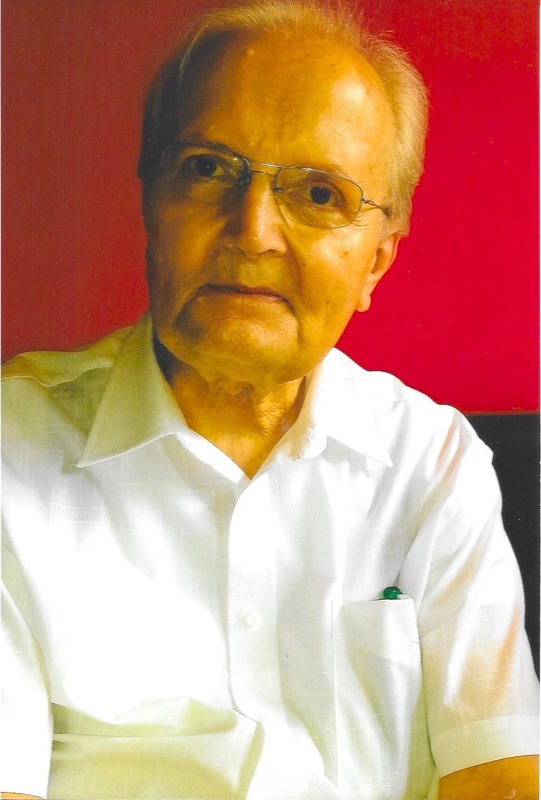 Nikolaus was teaching as a visiting music Professor in the State University of Manila in the Philippines in the nineteen seventies and later was appointed as Head of three Departments: Woodwind, Brass and Percussion in the Academy of Music in Munich. His love affair with Ireland continued with his marriage to Belfast Soprano, Angela Feeney - the renowned International Opera Singer. He was always on the lookout for Irish literature and is a lifelong member of the Linen Hall Library in Belfast. 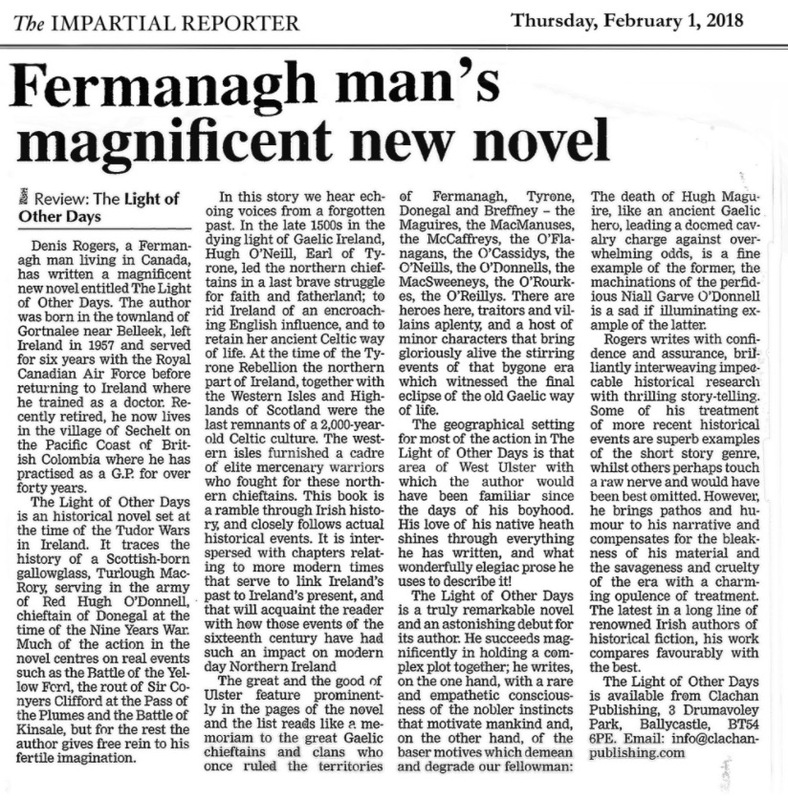 He discovered and purchased this Lost Manuscript in 2008 at a Munich book auction, without knowing its provenance.